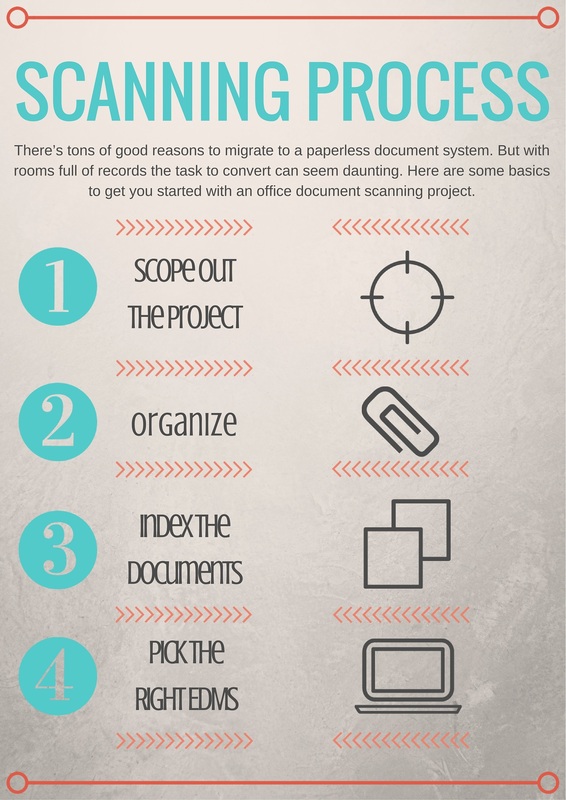 There are 4 key steps when it comes to the scanning process. When the whole process is broken down by step, it really makes the whole transformation less intimidating. Here we go over every step in detail and give you a better understanding of what will be expected as you convert to a paperless office. When starting a scanning project the most important thing you can do is get the scope of the project. This will help you establish how long the project will take, the cost, and how many resources should be devoted to it. A standard file box (10” x 12” x 15”) will hold around 2,500 pages of records or documents. A standard shelf holds around 200 pages per inch. Most projects can be estimated based on a multiple of these averages. This is more accurate than attempting to estimate a number of files and then trying to estimate the number of pages per file. 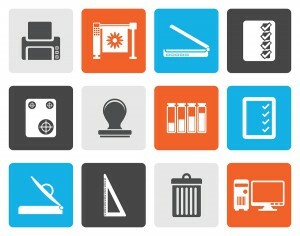 Organize all of your documents by how you would like them to be scanned. Make sure everything is in the right order and clearly labeled. It’s important to remove staples and paper clips if possible. The more work the contractor has to do the more expensive the project will be. An Electronic Document Management System is a system used to create, capture, index, distribute, review, maintain, store, retrieve and dispose of electronic documents. Find a System that’s easy to use. Does it have a logical search function? Make sure you have tight security. Purchase a system that grows with business needs. Keep archival record retention capabilities in mind. Can it store your emails too? It has to have support that works for your business. Check out this article on The Growth of the Electronic Document Management Industry for a more in depth list of these features. Record Nations can help you eliminate some of the hassle of finding an electronic document management system for your business. We have network of EDMS specialists that can help you select the right option and the right service that fits your needs.